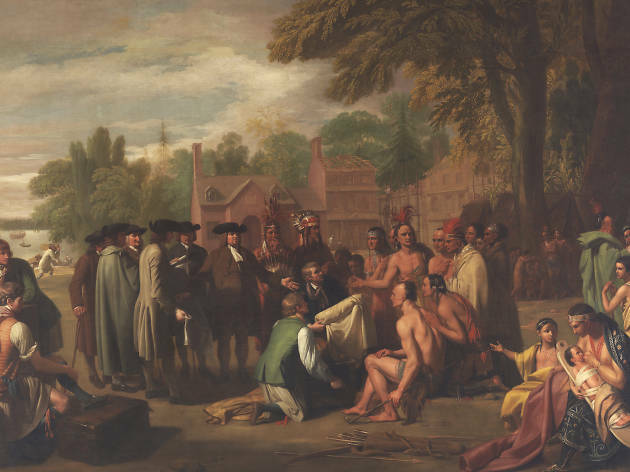 Sixty paintings, drawings, sculptures and more tell the story of Benjamin West and his role in the creation of the Royal Academy of Arts in London 250 years ago, and later in Philly’s own Pennsylvania Academy of the Fine Arts. Both institutions have provided tutelage to an impressive roster of masters, such as Charles Willson Peale, Gilbert Stuart, Mary Cassatt and even David Lynch. 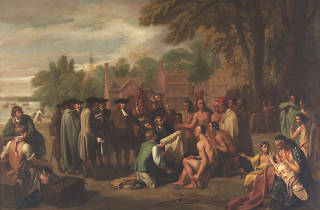 Works include the one you see above, Penn’s Treaty With the Indians, which West exhibited at the Royal Academy in London in 1772. According to a rep at PAFA, “It represents West’s commitment to history painting and his role in modernizing the genre to encompass works from recent history rather than adhering to the tradition of painting scenes from antiquity and the Bible.